Justin J. Klatsky joined Owens Law Group, P.A. in September, 2009. He focuses his practice on the fields of estate and wealth preservation planning, general business and corporate law, and taxation. Justin received his B.A with honors in Political Science from the Johns Hopkins University . While at Hopkins , he minored in Economics and was elected to Phi Beta Kappa. Justin received his J.D. with honors from the University of Florida , Levin College of Law, where he served as Student Works Editor of the University of Florida Journal of Law and Public Policy and received a Certificate in Estates and Trusts Practice. 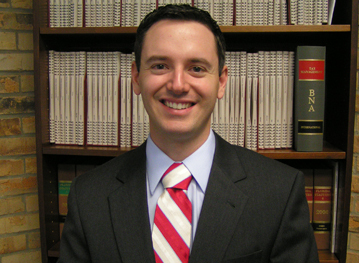 Justin received his Master of Laws in Taxation from the University of Florida , where he worked as a graduate assistant to Professor Steven Willis. Justin is admitted to the Florida Bar and is a member of the Tax Sections of the American, Florida , and Hillsborough County Bar Associations. He serves as Co-Chairman of the Tax Section of the Hillsborough County Bar Association and is also a member of the Real Property, Probate and Trust Law section and the Young Lawyers Division of the Florida Bar.